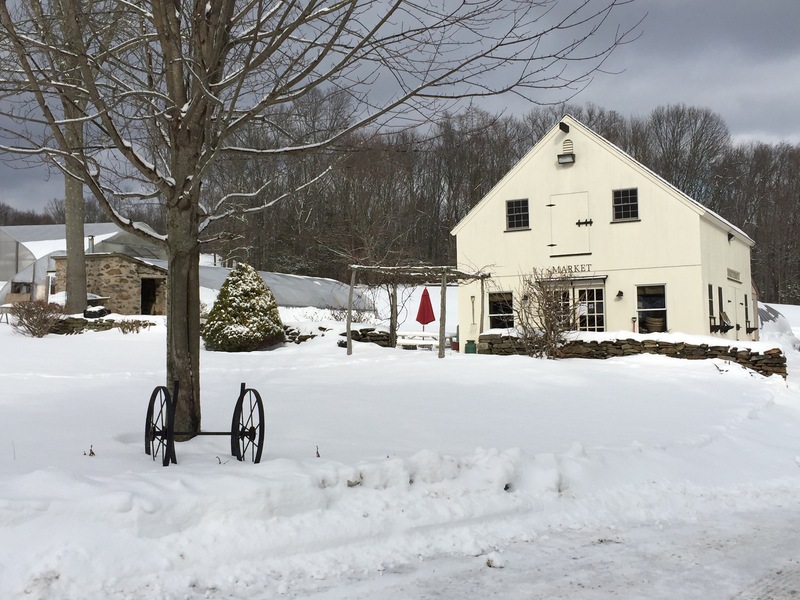 Nestled among the small rolling hills on Sport Hill Farm Road in Easton is a farm which shares its name: Sport Hill Farm. 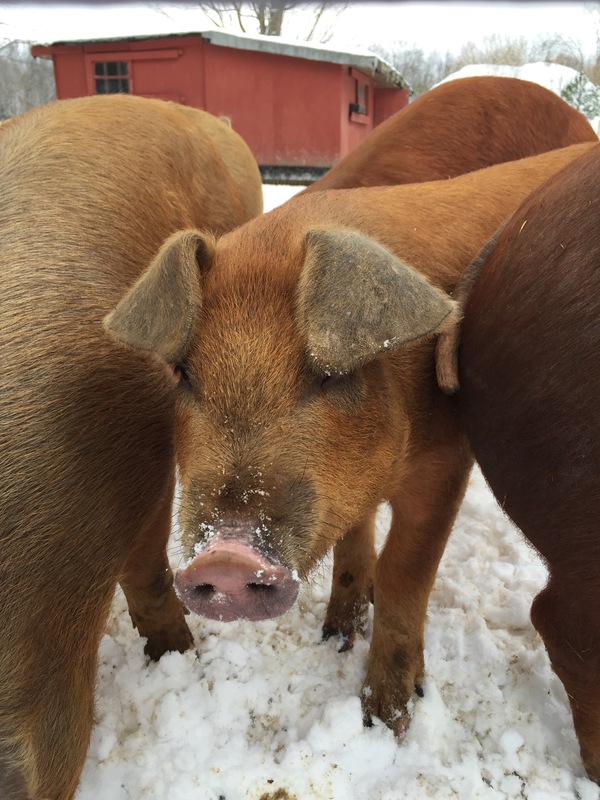 Sport Hill Farm is owned and farmed by the very friendly Patti Popp who is passionate about organic food – both farming it and eating it – and spreading the word to others. So much so that SHF welcomes field trips, interns, birthday parties, and offers a Summer Farm Camp for children. Established in 2001, Sport Hill Farm grows their organic produce “from seed to harvest” using green manure and compost. In fact, it’s all GMO free. 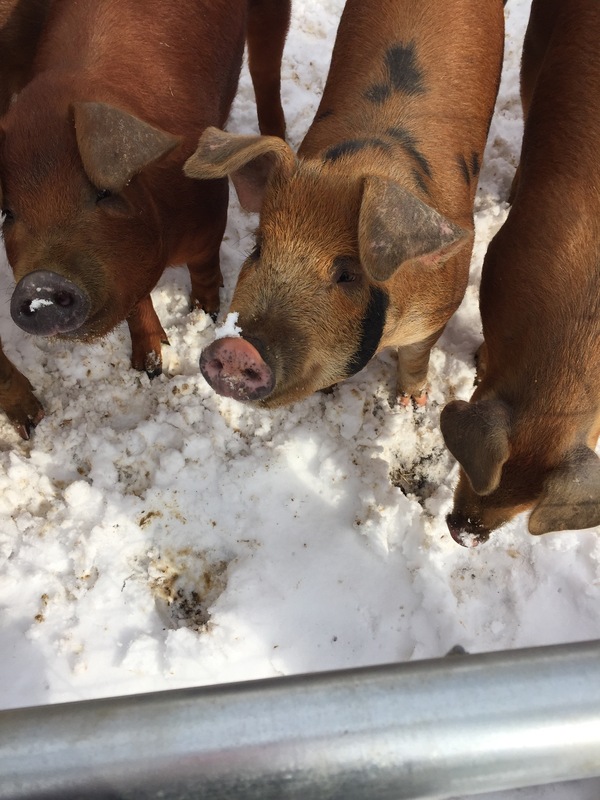 If you haven’t made a visit to the farm yet you might have enjoyed come of SHF’s produce on a local restaurant’s menu or bought some from her at a local farmers’ market such as the Westport Farmer’s Market. 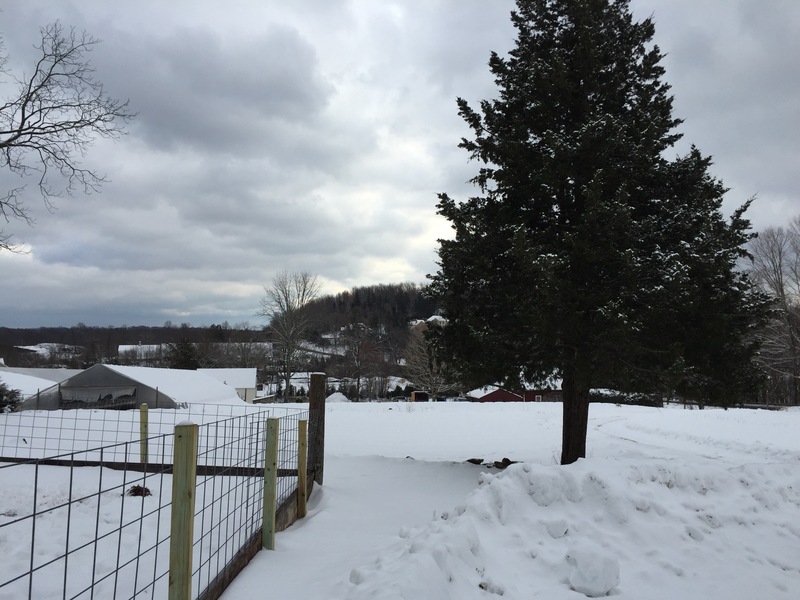 Yesterday I visited Patti to learn more about Sport Hill Farm and some upcoming 2015 programs. “The fields are sleeping right now,” as Patty said to me as she explained the different fields and greenhouses that span across Sport Hill Farm’s property and how this organic farm runs, but that doesn’t mean that Patti is on break, in fact she’s busy planning the 2015 season. Patti’s planning involves you too! SHF is offering two Home to Harvest CSA programs (Community Sharing Agriculture) also known as crop sharing for the 2015 season and a crop cash program. Cost is $35/week for the season. $200 deposit is due by February 15th to sign up for the program and the balance is due by April 1st. Peak season premium organic produce grown on Sport Hill Farm will be selected and hand picked each week by the farmer. Each week you receive a basket of a variety of the best produce available along with a recipe from Patti featuring “Patti’s Produce Pick of the Week.” In addition, you receive a 10% discount off “Patti’s Partner’s Products” purchased at the SHF Market at pickup. You choose the day you will pick up each week for the season: Thursday 2-7pm or Friday 11-6pm. This program is great for families, but if you’re looking for smaller quantities for singles or couples, Patti recommends the Harvest Peck. Cost is $20/week for the season. $200 deposit is due by February 15th to sign up for the program and the balance is due by April 1st. The Harvest Peck gives you all the benefits of the Harvest Bushel listed above except in a smaller quantity in your weekly basket. If either of these options aren’t your thing then there’s another option for you: Crop Cash! If you’d like the option of buying the produce in Sport Hill Farm’s Market along with “Patti’s Partner’s Products” then the Crop Cash program is the way to go. A sort of hybridized CSA program, Cash Crop gives you more flexibility to spend in the SHF market when you’d like on what you’d like. There are three options for this program: $90 for $100 in SHF farm credit to spend during the season, or $250 for $275 credit, or $500 for $550 credit. Visiting the farm and Patti was a fun experience, and meeting the animals made it extra special! 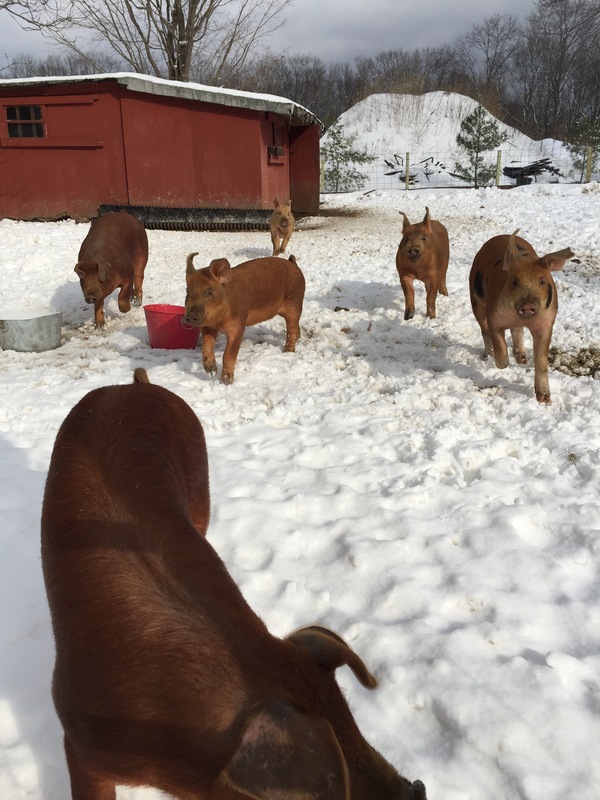 The chickens are still busy laying eggs comfortably in their roost (they don’t like to come out in the snow even though Patti shovels their run), but the pigs, well, ran out to greet us! Aren’t they adorable? 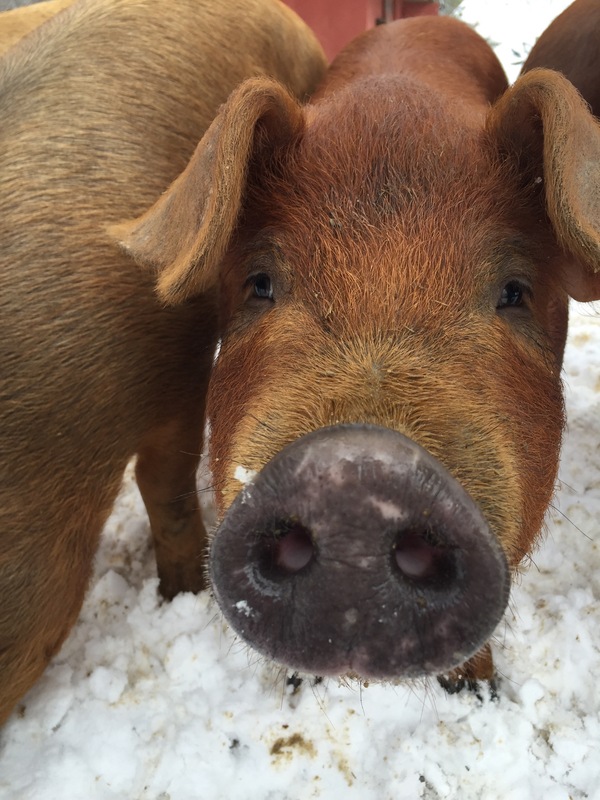 The pigs eat an organic diet too and they help to make sure nothing goes to waste at SHF by eating any leftover vegetables. Hours: the market is closed until spring. Contact info@sporthillfarm.com for more information, or <a href=”http://sign up here for membership to the 2015 CSA (crop sharing) OR here for the Crop Cash program by February 15, 2015. Patti will be the first to correct you, SHF is not organic. She does IPM. Love SHF but wanted to clarify. What does IPM stand for? I’d love to learn more.